The number of people reading on a phone is up 14% in the first quarter of 2015, according to Nielsen. Reading on mobile phones is on the rise and increasingly publishers are designing and marketing for a mobile reading experience, writes the WSJ. And Vestal is not alone. 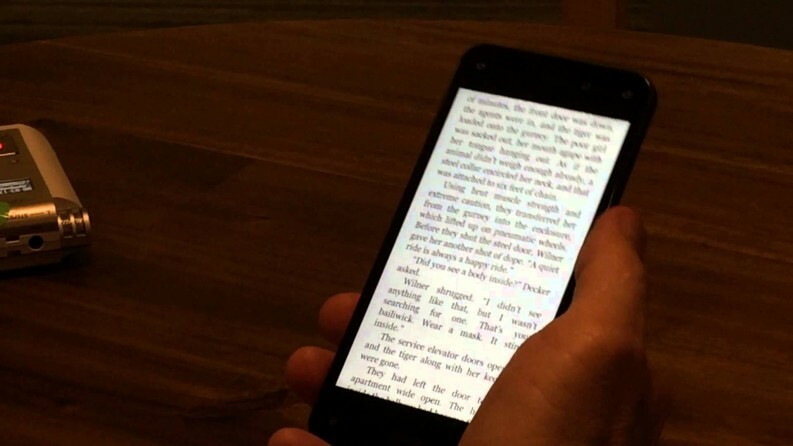 The WSJ reports that according to a Nielsen survey of 2,000 people done last December, nearly 54% of buyers of ebooks reported using smartphones to read their books at least part of the time, up from 24% in 2012. And the number of people who report reading primarily on phones went up to 14% in the first quarter of 2015, up from 9% in 2012. At the same time, the number of people who use their e-readers the majority of the time dropped from 50% to 32% over the same period. Even the use of tablets has dropped. One factor driving the increase in phone reading is simply that of convenience. You might not always have a book or e-reader or tablet with you, but if you’re like 64% of Americans – you’ve got a smartphone. By 2019, that’s expected to increase to 80.8.